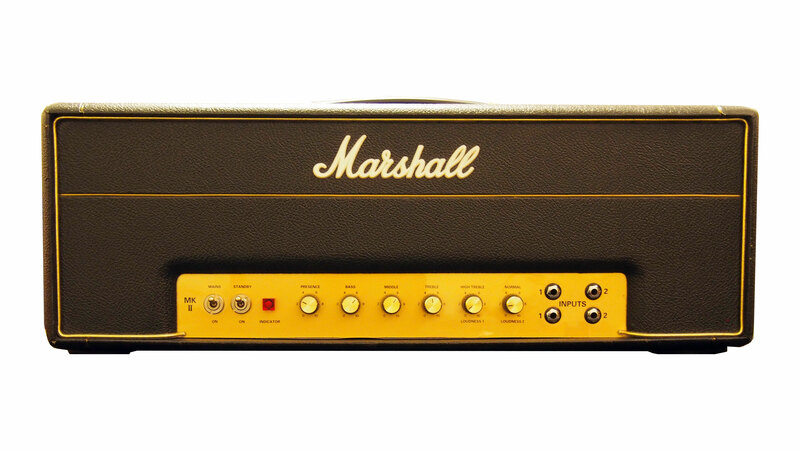 Some say the Marshall 1987X amplifier is nothing like the original. But is this amp worth buying? It's a loud amp can it be used anywhere? 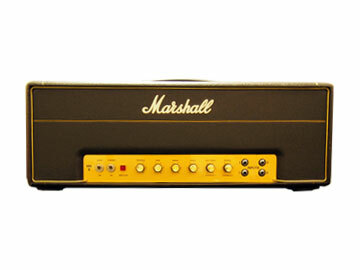 This is one amplifier from Marshall that changed the history of guitar amps and music. Similar in many ways to the JTM45 (mine is reviewed on this website) the 50 watt amp main board is well, basically interchangeable with a few different bits and pieces. The original 50 watt 1987 amp that Marshall made is reputed to have been played by greats such as Yngwie Malmsteen; if you have never heard of him that's ok, because the list of guitarists that used these particular guitar amps is probably endless anyway. It offered that marshall vintage tone, so you have to crank it up to get what's spread over all those classic rock albums we have all heard. So it's loud! And that could prove to be an issue these days with all that nandy-pandy 'it's too loud' mentality of modern health and safety guys. They were not too loud then and they are not too loud now if you know what you are doing. I'll be covering that aspect in the main review. But hey Tony, this is the reissue? Surely it's nowhere near the original amp tone? It's true to say that this amplifier is different than the original for sure. The early 50 watt 1987's had a point to point board and no effects loop among other differences. But the fact is, that marshall CANNOT make a duplicate of the 1987 original 50 watt amplifier because effectively they are stopped these days by regulations and standards and well you name it, Marshall are never going to make an original exactly as they were at the first release of this amp. Marshall do say that this amp is 'the same' as the original but they literally don't mean it is exactly the same; what they really mean is that when you plug this in it will sound the same, or as near as you could ever get. And there's that effects loop to contend with; many guys say that the effects loop will affect the tone and so anything in the 'circuit' is bad news; at least that tends to be the view from the die-hard fans of the old Plexi era amplifiers. For me, I had one of those old amps a very long time ago, and as is the case sometimes I sold it. Then about eight years ago I bought a 1987x reissue just like the one you see here. Later I sold it to finance other gear, but here I am back again in 2015 with one of these very nice amplifiers the 1987x. What's really great about these amps is the slowly falling price of the second user amps out there. I bought this one under review for around £600 (or $900) which is a great price for this amp. New these cost about £1395 (or probably $2000) new so current second user pricing is great. Original 1987's have been seen around on eBay for the £1200 ($1650) price range, but I opted to buy this one because as far as reliability is concerned this amp has it all and also some things I'll cover in this inside and out review of the 1987x make it far more desirable than the 'old clunker' from the end of the 60's. Some guys might not like that comment, but the truth is that old amps can be really big trouble, I've had them and usually regretted it later. This review is currently being written, as part of this website update but check the news page for all completed reviews as I finish them.